Sometimes the simplest changes are the hardest to implement. Safety training is about achieving behavioral change, and getting people to alter their routine, even in a seemingly minor way. This can be hard to accomplish unless those individuals “buy in” and the benefit outweighs the effort to change that particular work habit. Two classic examples are the use of eye protection and gloves. Injuries to both the eyes and hands are some of the most common after lifting injuries and slips, trips and falls. Yet many do not bother to wear appropriate personal protective equipment (PPE) and many supervisors have not identified work place hazards through a basic hazard assessment. Once you get the right PPE based on the actual hazard, you can begin to work on making the use of that PPE a habit. Material fragments can come off of various surfaces when the work includes hand tools or power tools and fly into the eye. Chemical products can splash into the eyes or the vapors can become an irritant. Particulates such as sawdust, drywall dust, pollen, mold spores, fiberglass, lead-based paint dust and asbestos fibers can also be eye irritants. Hands can be cut, blistered, or penetrated by sharp pointed items including items in trash bags which may contain biohazards in the form of bloodborne pathogens. Material Safety Data Sheets (MSDSs) for chemical products frequently call for eye protection , gloves and working in a “well-ventilated area”. The latter may mean opening windows and using a fan to blow chemical fumes towards the outdoors where they can dilute in the atmosphere to the point where they don’t represent a hazard. Resistance to wearing goggles for many is due to fogging that occurs in warm humid weather. Goggles have to fit correctly and be properly vented to protect the eyes while still minimizing fogging. 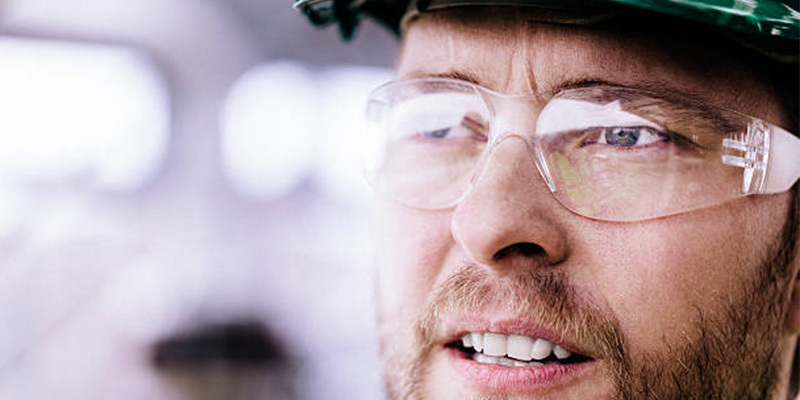 A trip to the nearest safety supply distributor or a visit from one of their sales representatives allows your workers to try on multiple brands and sizes of eye protection in order to get the right pair for each individual worker. Obtain a catalog from several safety suppliers to see the wide variety of eye protection options you have beyond what is available from your regular supplier, whose options may be limited. There are multiple types of gloves on the market designed to protect your maintenance workers against chemical exposure, cuts, penetration, electrical hazards, abrasion, heat, cold and many other hazards. On one safety distributor website I use regularly, I counted twenty-two different types of gloves. If your efforts to get your staff to wear the appropriate PPE prevents even one eye or hand injury, that would have otherwise required medical treatment and caused a lost time injury, your efforts will likely have paid for themselves. It’s really simple. Eyes and fingers don’t grow back. Safety management to avoid these financial losses is a mandatory level of effort for any loss prevention program. Good safety management lowers the cost of worker’s compensation programs and has a direct positive effect on your bottom line! Your maintenance staff should be wearing eye protection and gloves on tasks they do everyday. Make it happen and your workers will be able to see the results! If you have any questions regarding safety training, proper PPE or safety program management, please contact me at (864) 275-9962 or bhestir@ei1.com.